HomeMarketing What’s the Value of an Idea? What’s the Value of an Idea? What is the value of an idea? Is something that takes three months of soul searching and countless revisions “worth” more than a 15-minute burst of genius? These are questions that all agencies grapple with when determining how to set their fees and get compensated fairly. A novel idea, I know. More times than not, clients struggle to truly comprehend the long-term value of a project. It’s understandable there might be some disconnect when a particular logo concept “only” takes six hours to create. But if you take a 30,000-foot view, the narrative changes. For example — restaurant X needs a logo for their new fast-casual concept — one that they intend to franchise nationwide. Their budget is $5,000. In their minds, they are paying a lot of money for a professional piece of graphic design. The agency comes up with something brilliant and delivers the art files. That’s that. Now consider where that logo is going to be used by Restaurant X. Business cards, website, social media pages, trade show banners, exterior signage, menus etc. The list goes on and on. That logo quickly becomes one of their business’ most important assets. Some might say the most. Clearly, its true value dwarfs the total paid for the work. As I approach my 12th year at Decibel Blue, I have witnessed first-hand these exact scenarios. While it is a great testament to our work, I always pause when I drive by a billboard that started out as a direct mail piece. Or when that start-up we created a name and logo for is now doing millions of dollars in revenue with multiple locations around the country. I can’t help but wonder does the client even realize the value of what we created for them? Which leads me to Seth Godin’s quote at the beginning of this post. At Decibel Blue we believe that fresh ideas start with unfiltered imagination. But it doesn’t stop there. 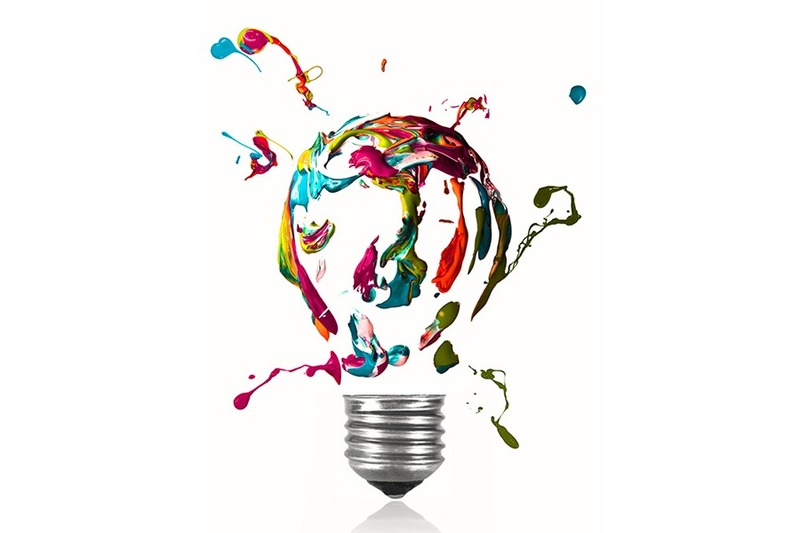 Unleashing the full potential of an idea takes innovative strategy and flawless execution, otherwise what’s the point? In the simplest of terms, clients have an opportunity to shift their thinking and view creative work as a long-term investment, not simply a transaction. Agencies are in an unusual position because ideas are the “products” we sell. As convenient as it would be, we don’t have a warehouse stuffed with shelves of witty headlines and cool designs that we can ship through Amazon Prime. Behind the scenes, sanity, sweat and tears (literally, in some cases) are poured into these projects. At the end of the day, a great agency works towards one goal – creating something disruptive that will set a client apart from its competitors. Which ultimately leads to greater awareness, more customers and higher sales. I’d say that’s priceless, but wouldn’t that defeat the purpose of this post? Tyler is a Partner at Decibel Blue. He sits on the board of the Phoenix Suns 88 Charities as Executive Committee chairperson (or “Big Gorilla) and is also an active member of the Key Executive Forum for PR Boutiques International, a global collaborative network of public relations agencies. Tyler is passionate about supporting education-related causes since his wife, Victoria, has been a public school teacher for many years. He earned his bachelor’s degree in marketing from Arizona State University’s W.P. Carey School of Business. An Iowa native, Tyler has a son and two daughters who more than keep him on his toes. He cheers passionately for his Nebraska Cornhuskers and the Chicago Cubs, where he realized a lifelong dream by attending Game 3 of the 2016 World Series (FINALLY! ).